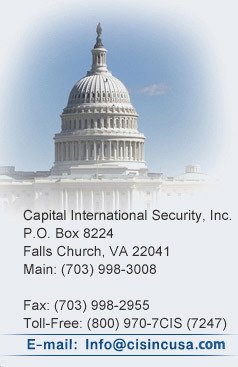 Capital International Security, INC. (C.I.S.) is located in Falls Church, Virginia, three miles outside of Washington, DC .The company was formed in response to the needs and demands of a clientele in the highest levels of government, corporate, and civilian life. C.I.S. conducts security detail operations, and investigations in the United States, and Worldwide. Our security / investigation managers and agents are recruited from the private sector, academia, police forces, U.S. government agencies, and foreign government service. 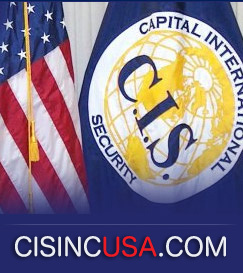 Capital International Security, INC can provide travel plans, including but not limited to: hotel accommodations, jet service, helicopter service, limousine service, and armored car service.